Omg what a pleasant surprise!! I can now finally go and commission my talented buddies ;u; Thank you so, so much!! Omg Im gonna hate you cause my name wasnt picked! Thank you! Thank you! THANK YOU! SQUEEE~! Congratulations to the winners!!! And thank you for the , Ichan! Thank you so much, you're so nice and generous I can't even. KYAA Thank you so much! I absolutely adore your art! Thanks again! 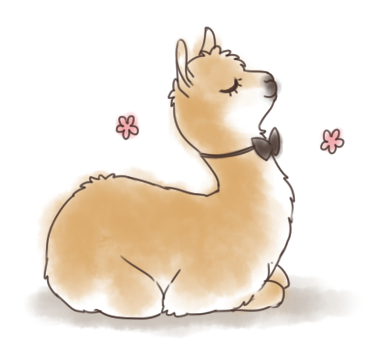 I don't know if you already gave me a llama or not.. ._. but i told you i loved you. i have no REAL reason for points. Daw ; o ; im sorreh.